Are you angry about being harassed by Bank services? Are you angry about being harassed by Bank services? Are you worried about Bank charges being too high? This is a rare opportunity to voice your concerns and share all your issues relating to banking services. Don’t Miss It! Dr Chakrabarty, one of RBI’s Deputy Governors, has had a banking career spanning over three decades. Previously, he was the CMD of Punjab National Bank and Indian Bank for two years each and also the chairman of the Indian Banks’ Association (IBA). 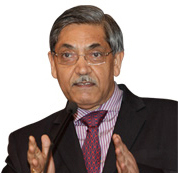 Dr Chakrabarty is the central bank’s nominee on the Financial Stability Board. He is closely associated with many institutes, organisations, committees and working groups like National Housing Bank, Confederation of Indian Industry (CII), National Institute of Bank Management (NIBM), Indian Institute of Banking & Finance, etc. Mumbai – 400 020. Opposite Churchgate station. Next Next post: CERS’s intervention compels mattress manufacturer to refund partial cost of defective mattress.